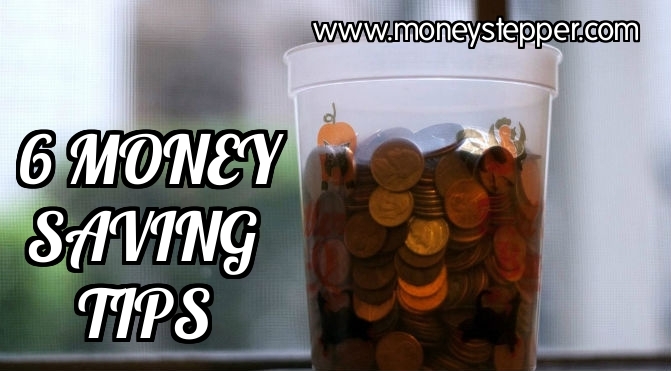 6 money saving tips - great ways to spend a little less! When you’re trying to get free from debt, or looking to build up a nest egg for the future, or to get together a deposit for a house etc., then you’ll find that a few savings here and there can have an enormous cumulative effect over time. Here are six good ways to spend a little less – and help get yourself free. If you already have a mortgage, then put a lot of effort into getting the best deal you possibly can for a new one. Make sure, though, that you factor in any early exit fees from your current mortgage provider. Finding a cheaper mortgage can make a huge difference to your monthly finances. And if you haven’t already bought a house yet – then finding a good mortgage well in advance can help you decide what houses may be affordable. A recent HSBC study has shown that people between the ages of 25 and 36 who have already managed to take the first step on the property ladder in the UK are likely to be significantly ahead of those who have not in the years to come. You can find out more here about this interesting report. 2. Don’t ever pay credit card interest. The interest on credit cards is usually highly punitive – so just don’t ever pay it. If you simply can’t seem to make progress, it’s wiser to get a personal loan from the bank or consider a consolidation loan if only to clear the credit card debt as this almost invariably saves money on interest payments. The credit card companies rely on people taking an Ostrich-like head in the sand approach to their debts and paying off only the minimum each month. This is madness. Keep a constant eye on all your household bills. If you can ensure you’re achieving the best prices available for things like the utilities (gas, electricity and telephones etc.) this can make a big difference. Again, the providers often rely on our lethargy in fining the best deals as this can be a tedious process. They also rely on our laziness in not staying on top of changes. But if you think of this as part of your necessary working life and just do what you have to do – it will pay rich dividends over time. Exactly the same goes for things like car, household and medical insurance. Similarly – keep your mobile costs to an absolute minimum – or even do without the mobile if you possibly can. An obvious one perhaps – but making savings on how and what you eat can be a biggie. Eschew eating out as much as you can, and buy cheap but healthy foods. Eating healthily is often also the cheapest as you tend to choose fruit and vegetables over meat, and reject alcohol, so it’s good for your body and your pocket. Finally – consider selling anything you own but no longer use. It’s surprising just how much value there often is in the bits and pieces we have lying around our homes. And with services like e-bay available – it means it’s easier than ever to reach a mass market. Again, treating this aspect of your life like work makes it less onerous. Just box it off in your mind and get all that old stuff boxed up and off! These are just six good ways to make savings which will help free you from debt and make the savings start to climb towards freedom. When we used credit cards we never paid interest. Those were always paid off at the end of each billing cycle. Over the past 18 months, I’ve been doing all of these things except the food one. However, since I’ve now started tracking my expenses, I’ve realised just how much I am spending on food and are now doing my best to reduce this. It’s amazing how all the little things you can do to save money really do add up! I think I follow most of these tips, though I don’t have a mortgage. My biggest weakness lately is quality food. I spend more on groceries now than I ever did, and it’s not the meat but the gluten free items! It’s the one area I feel fine splurging on. Good tips. We never pay credit card interest. I’m actually getting some stuff together to sell, some stuff that I know has value that I’ve not used or even thought of in years. Plus, that will reduce clutter! Paying off your credit cards in full every month is one of the smartest things you can do. When you carry a balance you don’t just pay a boatload of interest, you also end up missing out on other opportunities that present themselves. Simple but tips that really work is how I would describe your post. Tip #s 4 and 5 have worked well for me and I am working on #3. I know that if only we pay attention to how we use things in the house like electricity, water and Internet, we could save on utility bills. Good tips here. There are clearly many ways to keep expenses in line. The mortgage one is a good example, as it’s often the big expenses that add up quickly. In the case of buying a home, I think it can often be smart to think about what you need versus what you want. When people get too emotional, they can buy a home that might bring happiness at first but also a lot of stress in trying to pay for it. Best to buy a home within budget without stretching for it, in many cases. Great list! We no longer own our home, but we refinanced about a year before we sold it and we saved $250 a month in payments. It was a small move that made a large impact. I’ve had a credit card for about 16 years and never once paid interest. Good tip there – this is probably the best financial thing I’ve ever been able to accomplish. Not having credit card debt is awesome! !